A few reasons for the current state of Bible knowledge will be proposed in the following list for consideration and reflection. (1) Abundance—In the United States and the English-speaking world, the Bible is available in many translations, paraphrases, abridgments, and specializations—such as targeted for women, children, men, teenagers, musicians. The martyred Reformation forerunner John Wycliffe worked in the fourteenth century to give the English a Bible so that anyone who wanted to read the Word, even the poorest, could enjoy Scripture for themselves. In Wycliffe’s day Bibles were scarce, so does the abundance of English versions currently lead Christians to think they can get around to reading the Bible in the future? Does the abundance of the Word in English breed procrastination and a bit of indifference? (2) Worship—The lack of Scripture knowledge among Christians may be attributable to a trend in Evangelicalism which has influenced its confessional Protestants. Worship is the corporate meeting of God’s people for the purpose of glorifying and enjoying the one who has spoken in his Word. Worship should fundamentally include a deluge of the Water of Life through its use in preaching, hymns, prayer, and the sacraments. 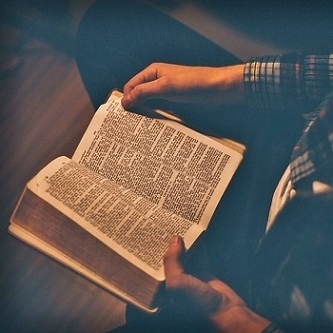 Could it be that limited Bible content in church services inadvertently sends the unintended message to congregations that the Word is not very important, so then it is not important for Christians to read their Bibles? (3) Reliability—Particularly since the Enlightenment and the elevation of the place of reason over God’s revelation, the infallibility, inerrancy, reliability, truthfulness, usefulness, and God-breathed nature of the Word have been questioned or even denied. For those of Presbyterian Church persuasion, the controversies involving Charles A. Briggs and James Woodrow in the latter years of the nineteenth century brought the simmering pot of the doctrine of Scripture to a boil. Added to arguments regarding the inerrancy of the Bible is the in-vogue belief that all religions and their source documents are equivalent; believe whatever you want, as derived from whatever source you wish, so long as you believe it sincerely, but do not impose it on others. Generally speaking, historically confessional Bible-believing Protestants hold to a high view of Scripture, however, could it be that questioning the reliability and divine origin of the Word has negatively influenced even confessional and conservative Christians? Does the environment of denying the reliability of Scripture seed the notion in the minds of Bible believers that if the Word is flawed, it is really not important to read it? (4) Time—Sometimes Christians will say they do not have time to read the Bible. It is highly likely if not certain that there are few if any Christians in the United States that could not rearrange their schedules for Bible reading. Maybe a little less of this activity, or backing off a bit with that project would help. Increasingly, the “I don’t have time” reason is a weak defense because smartphones can provide a digital Bible to read in just about any location where service and a charged battery are available. Surely, John Wycliffe, after all his difficulties and death for an English Bible would be distraught by the “I don’t have time” reason. Is it really the case that there is not enough time, or is it the case that the will to make time is lacking? (5) Expertise—One of the reasons Roman Catholicism opposed Bibles in the vernacular—the language of the people, was its belief that Scripture is too difficult for the lay to understand and experts are required for its interpretation. Yes, some passages are more complex for sure, but the Reformation principle of Scripture interpreting Scripture (analogy of Scripture) combined with the clarity of the Word (perspicuity of Scripture) show that any Christian can read the Bible with a good degree of understanding especially with respect to its teaching regarding faith and life. Could it be that a half millennium after Luther, despite vernacular Bibles, some congregants think they cannot understand God’s Word? Commentaries on Scripture are valuable tools and study Bibles have their places, but does the abundance of study material in print and online imply that reading the Bible is not likely to be a good idea because expertise and considerable time are required? (6) Temptation—Satan does not want the Lord’s people to read the Bible. This may seem like an obvious and unnecessary point, but as C. S. Lewis has shown through fiction in The Screwtape Letters—Satan’s strength is in a Christian’s weakness. The Scripture, whether read, studied, or presented in worship and preaching, is the means through which the Holy Spirit works to expose sin, encourage his people, and direct their paths. Just as a confidence man preys on the limitations of his mark’s knowledge when he proposes his con, Satan targets the weakest point of his quarry. Is it the ball game or the Bible? Is it window shopping or the Word? Is it sleeping or Scripture? Could it be that Christians need to deal with their yielding to the wiles of the tempter and sin in order to read their Bibles? (7) Conviction – If you do not want to grow in sanctification, then do not read the Bible. The Word exposes sin as the Holy Spirit illumines or turns on the light of understanding for its readers. A Christian might read a passage which shows him that he hates someone, so it then becomes necessary to approach the hated person in humility and ask for forgiveness. If you do not want to be humbled, do not read the Bible. The Bible is often read for comfort and encouragement, as it should be, but along with the comfort comes conviction. Could it be that Christians do not read their Bibles because they do not want to face conviction? In conclusion, if only one lesson is learned from the five-hundredth anniversary of the Reformation it should be the importance of Bible reading in the spirit of sola Scriptura. The Bread of Life has been faithfully kept through the years for the purpose of revealing God’s will to his image bearers. Scripture is an invaluable gift from the true and gracious God which has its proper place not lost in the back of a drawer under socks, forgotten in a cluttered closet, or languishing in dust on top of the refrigerator, but rather in the hands and hearts of his people. It is apropos to conclude this series of Reformation posts with a quote by Martin Luther from his Table Talk. I have read the Bible through twice every year. If you imagine the Bible to be a mighty tree and each word a branch, I have shaken every one of these branches because I wanted to know what it was and its meaning.